Event info for today, June 29, through Thurs., July 5 (including which sites are open on July 4), is below. Check the full July event listings for additional info. 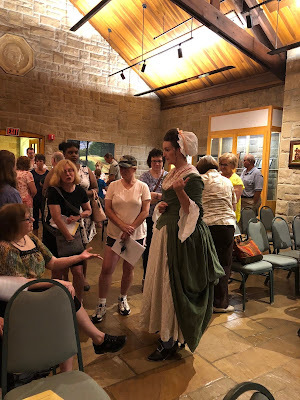 The most recent installment in Bushy Run Battlefield's new "History Speaks" series was Jessica Young's program on 18th-century clothing worn by Anglo-American settlers in western Pennsylvania (see photos above and below). Young walked the audience through details of clothing for men, women, and children and showed the process of donning the various pieces that make up authentic period dress (read more about Young's work in this Trib Live article). The next program is set for Sept. 19, when Dana Knezevich will present “The Making of Native American Clothing” at 7 pm (more info on the series is on Bushy Run's calendar of events). A recent issue of Distillations magazine, a publication of the Science History Institute that also has online versions, featured an article by Michal Meyer about the friendship between Dr. Joseph Priestley and the famed potter Josiah Wedgwood. The two met in 1762 and remained friends for the rest of their lives, sharing many of the same views on religion, politics, and the abolition of slavery (read more in the online article). One of the article's illustrations is an undated Wedgwood cream-on-blue jasperware medallion with Priestley's profile. A generous donation from two Friends of Hope Lodge members and a local Boy Scout Eagle project combined to give Hope Lodge a new picnic grove. Four new picnic tables and landscaping have transformed a weedy area behind the greenhouse into an attractive and functional picnic area. Hope Lodge has lacked picnic tables for some time and this new grove will give visitors an opportunity to enjoy the site a little longer which we hope will increase participation for tours and other events. We’re very happy to have them and thank everyone who made it possible. July 4: Site open—check website for details. July 1: Patriotic Concert in the Park—this annual event honors all military veterans. Admission and parking are free, contributions are gratefully accepted. Please bring chairs or picnic blankets. 1:30 pm. UPDATE: Due to forecast of high temperatures the concert is cancelled. The site will be open usual Sunday hours. June 30: Celebrating America's History—enjoy tours of the Boone Homestead, see blacksmithing and other demos, and support the Keystone Military Families Foodbank. Requested admission donation is 2 non-perishable food items per person over 5 (see Facebook event page for needed items). Regular admission fees apply to visit without donating food items. 10 am-4 pm. June 30: Something More Saturday—this month's focus is the Mobile Energy Education Training Unit (MEET-U). There will also be blacksmithing demonstrations. Included in regular admission. 10 am-3 pm. June 30 and July 1: Historic Pithole open. Admission charged. 10 am-4 pm. July 4: Drake Well open—check website for details. July 4: Friends and Family Day—hands-on activities for the kids, free admission to the museum, and tours of the ship. 9 am-5 pm. Please visit the Fort Pitt website for information on programs and events. 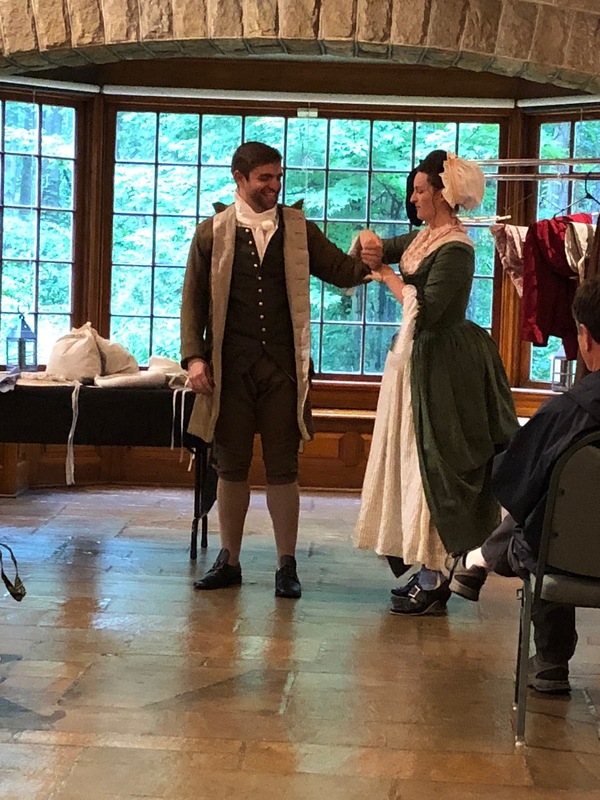 July 4: Independence Day Living History Program—members of the Graeme family and some of their associates will explore arguments for and against independence during the course of the afternoon. There will be a reading of the Declaration of Independence, tours of the Keith House, and a musket firing demonstration (more details on the website). Admission charged. Noon-3 pm. July 1: Site open—each Sunday through October, Hope Lodge is open for tours. Admission is charged. Site is open 12:30-4 pm with guided tours at 1:00 and 2:30. July 4: Site open—please check the website for details. July 1: Special Sunday Programming—this week: meet the joyners, blacksmiths, and wool spinners. Included in regular admission. 1-4 pm. June 30: Exhibit reception—the "Creative Makers of the Pennsylvania Wilds" art exhibit features more than 200 images of regional artisans and producers, members of the Wilds Cooperative of Pennsylvania, making their crafts in their creative spaces. (The exhibit opened on May 25 and runs through July 9.) The reception is scheduled for 3-5 pm. June 30: Guided Tour Special—the 1 pm guided tour is included in regular admission (normally an additional charge). July 4: Kids Day—kids (of all ages) can try on uniforms from the museum's education collections and learn about soldier life. Have your photo taken behind the wheel of an authentic military Jeep. Included in regular admission. 10 am-3 pm. July 1-8 (museum open July 4): Reading Railroad Days—offered in conjunction with the Reading Company Technical & Historical Society, this program features an enormous HO-scale model railroad and highlights Reading Company rolling stock in the Museum’s collection. Included in regular museum admission during regular hours. June 30: Liquid Arts Festival—sample products from two local distilleries, a brewery, and a winery; visit the food trucks; and listen to live music, all to benefit the Historical Center. More details available on the Facebook event page. Must be 21 or older to attend. Cost is $5. 1-8 pm. Please check the website for schedule and descriptions of planetarium shows. June 29: Summer Fridays and Learn at Lunchtime—admission today is "Pay as you will." From 10 am to 3 pm, entrance to Curiosity Connection will be by timed tickets (numbers are limited). Regular fees apply for the Planetarium. Learn at Lunchtime program offered 12:15-12:45 pm: Black Bears. Museum is open 9 am-5 pm. Please visit the Washington Crossing website for a complete listing of upcoming programs and events. The full June program listings are available, but I've highlighted events scheduled for this weekend below. Full disclosure: Trailheads HQ (that is, me) is on vacay this week, so it would be a good idea to confirm events on the individual websites or Facebook pages. Just to be sure there haven't been last minute changes. June 24: Band Concert and Reception—enjoy an outdoor concert by the Keystone Band of Rehrersburg and see the new display of the Cornwall Mines mineral collection. 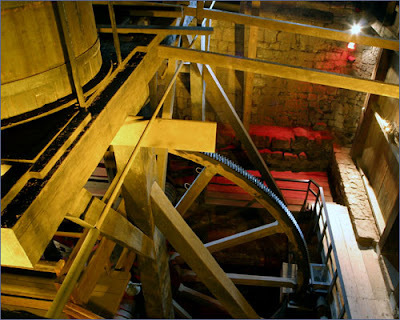 Regular admission applies for tours of the furnace. Please bring your own lawn chairs for the concert. Light refreshments will be served (more info on the Facebook event page). 2-4 pm. June 23: MEET-U BBQ—help support the museum's energy education outreach programs as you enjoy smoked St. Louis-style pork ribs with Sweet Crude barbecue sauce, coleslaw, baked beans, and a cold drink. Keep an eye on the Facebook event page for details. Noon-3 pm. June 23-24: Patch Town Days—this year's program marks the 50th anniversary of the filming of The Molly Maguires right here in the village. Planned activities include rugby matches, a Sean Connery mustache contest, village scavenger hunt, Fact or Fiction Trivia game, breaker boy challenge, cooking demonstrations, live animals, reenactments and skits throughout the village, movie props and memorabilia on display, music, food and more! The film will be shown at 7 pm on Saturday (with a lecture at 6:30 pm - doors open at 6) and there will also be a “Join the Strike” Parade at 3:30 pm on Sunday. Admission charged. 10 am-5 pm both days. June 24: Colonial Beer Brewing Demonstration—learn about and watch traditional brewing practices in the summer kitchen. Admission charged for tours of the Keith House (more info on Facebook event page). 11 am-2 pm. Special Sunday Programming—June 24: Beer Brewing and Garden Highlights—visit the gardens and the brew house to see what's on offer. Sunday programs included in regular admission. 1-4 pm. June 23: Log Birling Clinic—ever wanted to learn how to log roll like the folks at the Bark Peelers' Festival? This is your chance! This clinic is designed for strong swimmers age 12 and up (under 18 MUST be accompanied by an adult). All participants must complete and sign a release of liability. More info about what to bring is on the Facebook event page. June 23 and 24: Guided Tours—1 pm guided tour on Saturday and Sunday is included in regular admission (normally an additional charge). June 22: Summer Fridays and Learn at Lunchtime—starting June 22 and continuing through Aug. 24, Fridays are "Pay as you will." From 10 am to 3 pm, entrance to Curiosity Connection will be by timed tickets (numbers are limited). Regular fees apply for the Planetarium. Learn at Lunchtime programs offered 12:15-12:45 pm: 6/22, World War I. Museum is open 9 am-5 pm. June 24: Exhibit opening and reception—“Art of the State,” the annual juried exhibition of Pennsylvania artists, opens today and continues through Sept. 9. Museum admission is free on June 24. Museum open noon-5 pm, exhibit awards ceremony begins at 1:30. Be sure to check out the June program listings for events this weekend and the rest of the month. On Saturday, June 9, Joseph Priestley House held their first World Doll Day event, in honor of long-time volunteer Ruth Eleanor McCorkill. Doll collectors and vendors displayed all kinds of dolls. 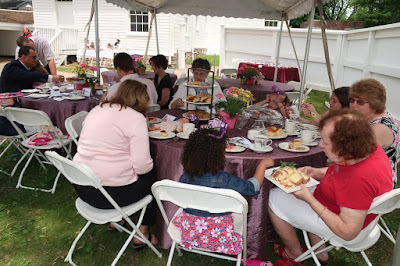 A festive tea party (see photo above) included adults, kids, and dolls. 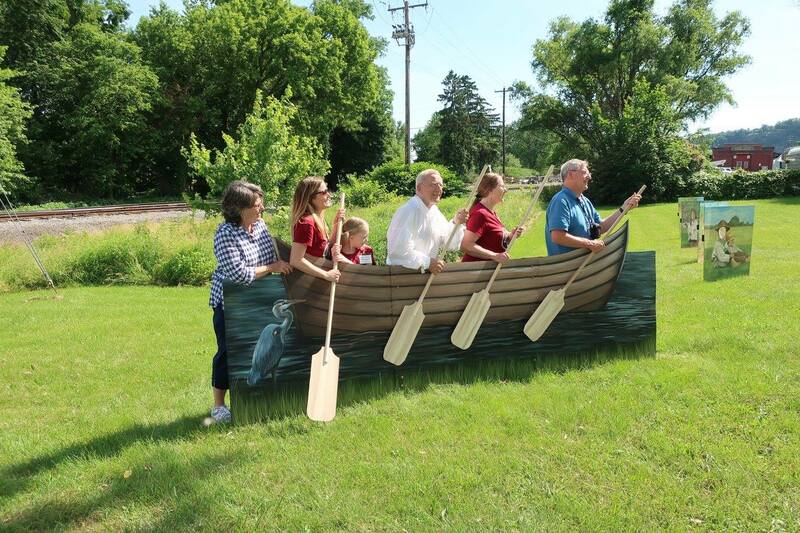 Among the program offerings were some intriguing and well-executed photo op stations, such as the boat (complete with oars) below. You can find more photos in the World Doll Day 2018 album on the Priestley House Facebook page. Last week (June 6), as has become an annual tradition, Hope Lodge hosted the Ambler Symphony Orchestra for a concert on the lawn. Folks brought their blankets and lawn chairs to enjoy an evening of music and fresh air. Did you follow the voyage of the Lettie G. Howard from South Street Seaport Museum in NYC to its new temporary berth at the Erie Maritime Museum? 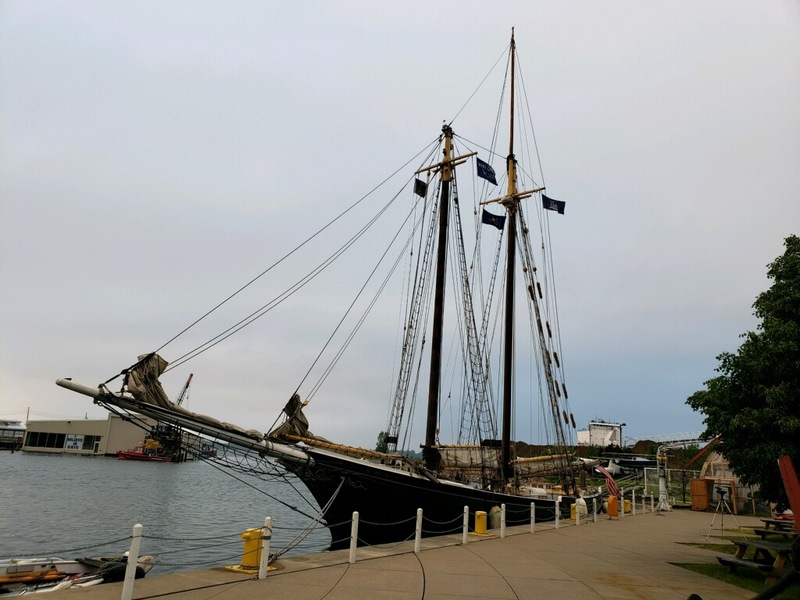 The Lettie has been leased by the Flagship Niagara League and will spend two years providing Erie-based day sails and educational programs in addition to the U.S. Brig Niagara, which also spends time traveling to other Great Lakes ports. The U.S. Brig Niagara Facebook page has lots of photos and video documenting the trip out of New York, the coast of Atlantic Canada, through the St. Lawrence Seaway and the Welland Canal, and finally into Lake Erie and Presque Ile Bay. There's also been plenty of publicity, including an article about Allison Taylor, who will serve as captain of the Lettie during its stay in Erie. Visit the Niagara Facebook page or Erie Maritime Museum website for more info on sailing schedules and other events for the Lettie G. Howard and the U.S. Brig Niagara. PhillyVoice.com's list of 5 ways to celebrate Father's Day includes Pennsbury Manor's Brews and Bites event coming up tomorrow, June 16. Visit Pennsbury's website for info on ticket options and a list of participating breweries and wineries. The event runs from 4 to 8 pm and you must be at least 21 years old to attend. The annual Patchtown Days event at Eckley Miners' Village is a tribute to the immigrants who lived and worked in this coal company town. This year's event, scheduled for June 23-24, celebrates the 50th anniversary of Paramount Pictures’ 1968 production of The Molly Maguires, starring Sean Connery, Richard Harris, and Samantha Eggar. The event will feature live entertainment, reenactments, artifact displays, craft and food vendors, kid’s activities, and more! On Saturday evening, the film that started it all will be shown in the visitor center auditorium, with doors opening at 6 pm, a brief lecture at 6:30, and the screening at 7 pm. Thank you again for contacting me. I am proud to have been in your town and seen the true history of anthracite mining in PA. Please check the June program listings for events coming up. Thousands of elementary school students visit the Pennsylvania Trails of History every spring and fall, and many more visit with their families and friends throughout the year. 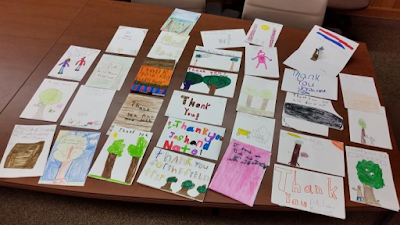 The thank you notes pictured above, received by staff at the Pennsylvania Lumber Museum, are just a few of the hundreds sent to our staff and volunteers. Many teachers find it a great way to find out what their students remember about their visit, and we find them helpful, too. While younger students are most common for organized visits, we certainly see our share of older students and adults, eager to learn in a variety of ways. This year to commemorate the 300th anniversary of William Penn's death, Pennsbury Manor is asking school visitors to describe Penn's legacy. They'll be sharing those insights every Wednesday. 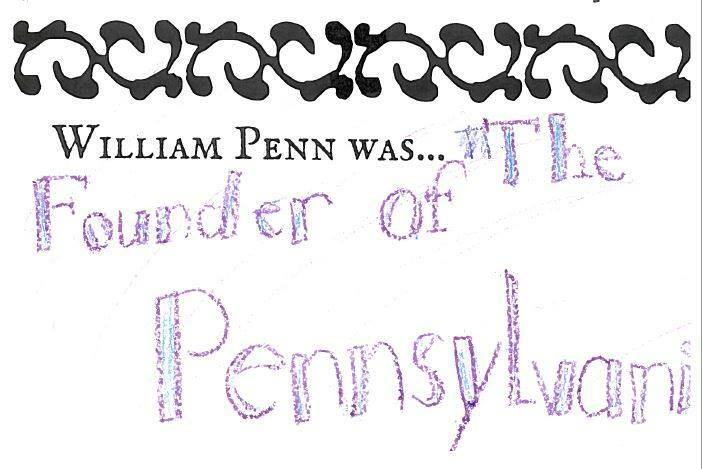 This week, they posted about Penn's role as founder of Pennsylvania, certainly a significant legacy for us all. Follow Pennsbury's Educator page on Facebook to see more on Penn's Legacy Year. The University of Maryland's Eckley Archaeology Project has begun for this summer, with students documenting the Rubin House. Local high school students interested in archaeology may want to apply for the high school field program, which starts on June 18. More information on applying, as well as photos of numerous activities, can be found on the Eckley Archaeology Project Facebook page. Otherwise, be sure to take a look at the excavations while at Eckley Miners' Village for this summer's Molly Maguires semicentennial. 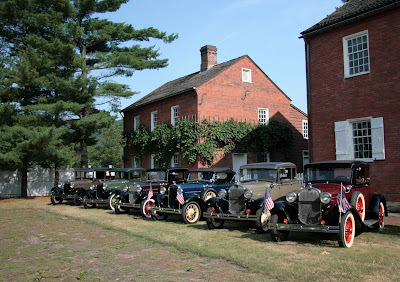 Last weekend, to help kick off the summer season, The Allegheny Ironsides vintage baseball club were on site at Historic Pithole for Wildcatter Day. They helped the Drake Well team learn how to play 1860s baseball as it would have been played during Pithole's heyday. They posted a summary and lots of photos on their Facebook page. Ephrata Cloister staff members Michael Showalter and Nick Siegert contributed a section for the upcoming museum studies text, Interpreting Religion at Museums and Historic Sites, edited by Gretchen Buggeln and former PHMC executive director Barbara Franco. The book is part of the American Association for State and Local History's Interpreting History Series, published by Rowman & Littlefield. It is due out in September. WBRE's Lauren Hensley recently visited Joseph Priestley House and posted about it on her Facebook page. 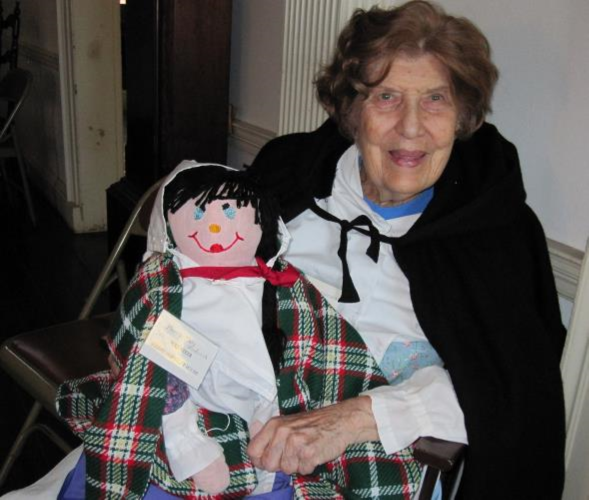 Tomorrow, June 9, the site hosts its first World Doll Day event, dedicated to longtime volunteer Ruth Eleanor McCorkill and devoted to teaching about the Priestley family in the 18th and 19th centuries. Kids are encouraged to bring their own dolls along. The event is free, but there is a fee for the doll tea party and reservations are required. Please check the June program listings for all of your event needs. So much to choose from. Another month has come and gone. That long, cold spring gave way to whatever you call the season we're having now - "sort-of-but-not-really-summer"? School visits spiked. 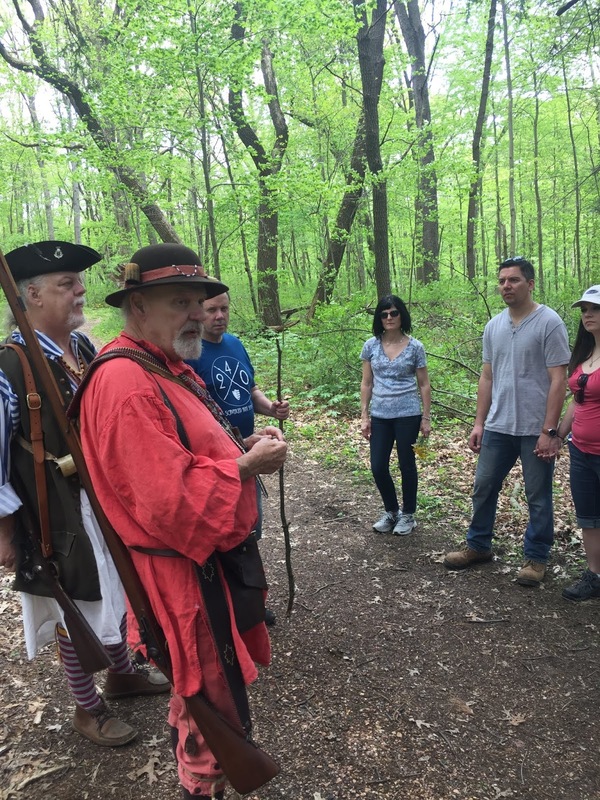 As always, there were programs and events on the Trails of History that engaged the public. Here are a few highlights that you might have missed. FoHL hosted the Whitemarsh Art Center (WAC) gala fundraiser “Hundred for Hundred” on May 19th. WAC’s leaders raffled over 50 original pieces of art. 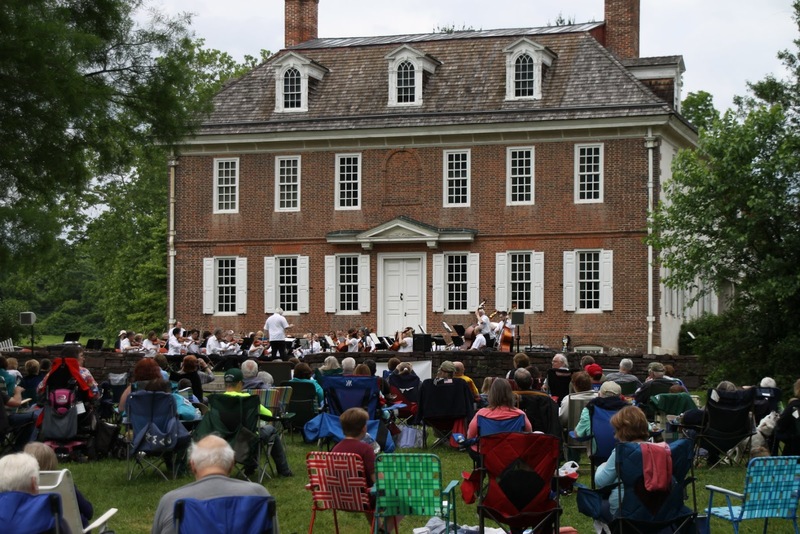 Over 300 people attended the event, which featured wine and cheese, music by guitarist Baird Standish, and tours of the 18th-century mansion and property. WAC executive director Corinne Dieterle expressed her gratitude to the FoHL for their support in making the event so successful. Congratulations to all on a successful community collaboration! Hope Lodge was also recently featured in Zach Brown's "The Montco Explorer" blog (read Brown's write-up of Hope Lodge on the Valley Forge Tourism and Convention Board's website. And visit the June program listings for info on Hope Lodge events coming up this weekend. 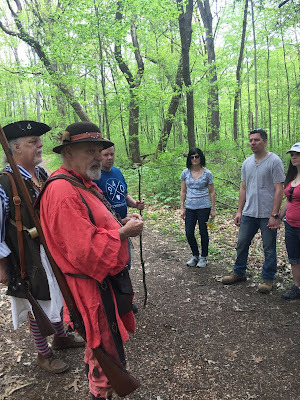 Bushy Run Battlefield opened its 2018 programming season with a wide range of activities organized by the Bushy Run Battlefield Heritage Society, including the Spring Nature Walk on May 12 (pictured above and in the Spring Nature Walk photo album on Facebook). Also on the schedule were the kickoff of the site's new History Speaks Series on May 16 (next installment is June 20) and the annual Spring Tea on May 19, which sold out well in advance. This past weekend saw the premiere of the new Bushy Run Market featuring local vendors, entertainment, and concessions on the grounds (set to continue the 4th Saturday of the month through the fall. Visit Bushy Run's website to keep up with this summer's events. A weathervane from the collections at Landis Valley Village and Farm Museum (see above) is featured in a folk art exhibit at San Francisco International Airport's SFO Museum; the exhibit continues through the middle of July. In other Lancaster County news, Ephrata Cloister's Student Historian program was featured in an article that focused on their work with site staff to document and transcribe gravestones of some of the community's earliest members. There's lots of activity going on at Eckley Miners' Village this summer, much of it focused on the 50th anniversary of filming of The Molly Maguires in and around Eckley in 1968. 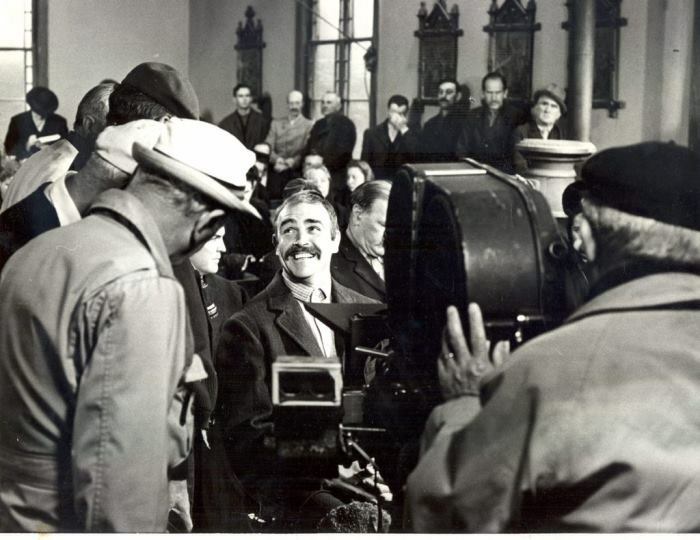 This year's Patch Town Days event (June 23-24) will be focused on the film, with reenacted scenes, a mustache contest (see photo above for inspiration), and much more (details on Eckley's website). 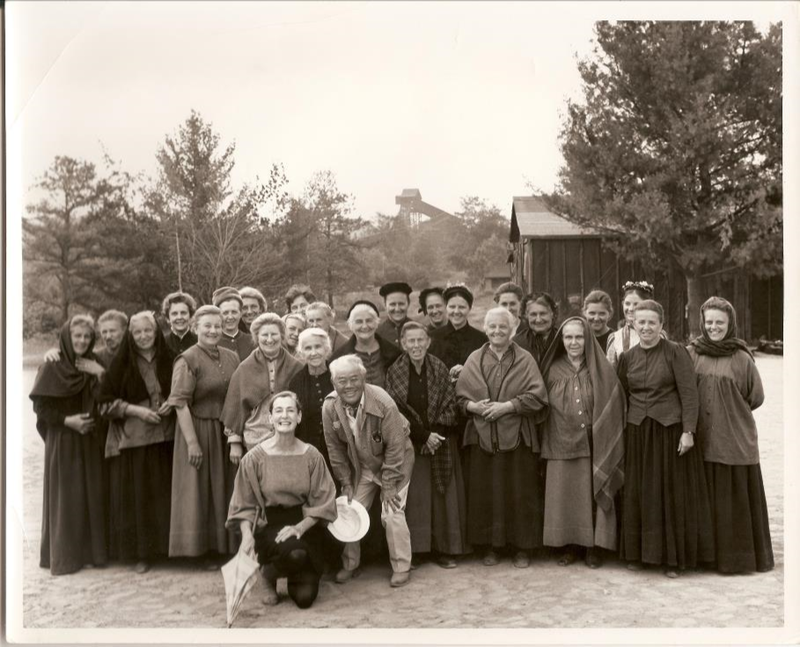 Publicity around the filming of The Molly Maguires and interest generated by the movie's release were significant factors in the development and preservation of Eckley Miners' Village as a state historic site. Students Dan Kimbrough's class at Misericordia University produced a documentary about the history of the site, interviewing numerous volunteers (doc is available on YouTube). An article in the Scranton Times-Tribune provided background information on the May 25 Google Doodle featuring James Wong Howe, who was the cinematographer for The Molly Maguires. Howe was born Wong Tung Jim in China in 1899 and moved to the U.S. at the age of 5. He was denied citizenship under the Chinese Exclusion Act, finally winning an appeal in 1943. Laws prohibiting interracial marriage meant that he and poet Sanora Babb could not be legally married until 1949. 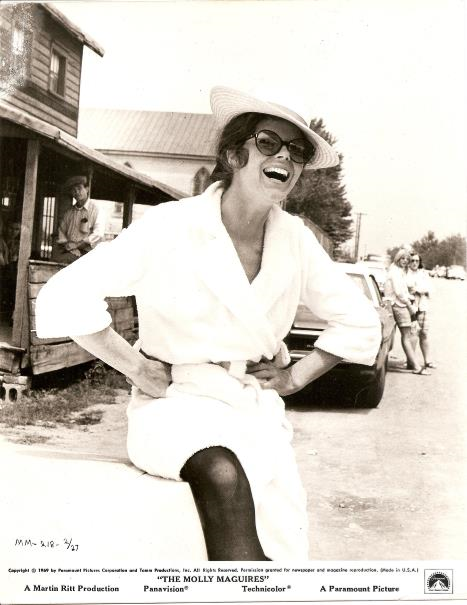 Howe's work received ten Academy Award nominations; he won Oscars for The Rose Tattoo and Hud. According to a biography of Howe on the IMDb website, working on The Molly Maguires, his next-to-last film, was one of his favorite assignments. One last note on something coming up next weekend. 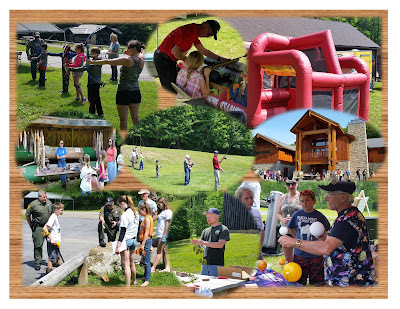 The Pennsylvania Lumber Museum, in conjunction with the Black Forest Sportsman's Club, has a Youth and Family Field Day scheduled for June 9. The event is free, but you must register by June 7. Pre-registrations have been a bit slow, so if you're planning to go, please contact the site ASAP. Program details and a registration form are on their website.